AirportWatch | BBC: Could hypersonic flight become a reality? BBC: Could hypersonic flight become a reality? The European Space Agency’s goal is to create a hypersonic passenger plane, one that flies more than 5 times faster than the speed of sound and six times faster than a standard airliner. There are many technical problems including heating of surfaces at such high temperatures. Even if these planes are eventually produced, it will be decades away. And there is not much demand for such fast travel – not enough to make it economic. If the high-paying first class passengers don’t fly on conventional airliners, the airlines would lost traditionally subsidises economy seats get from them. When Concorde was decommissioned in 2003, supersonic air travel became a thing of the past. But work has begun on a passenger aircraft that could go further and faster – flying from Europe to Australia in four hours. Will it ever become a reality? The European Space Agency’s goal is to create a hypersonic passenger plane, one that flies more than five times faster than the speed of sound and six times faster than a standard airliner. 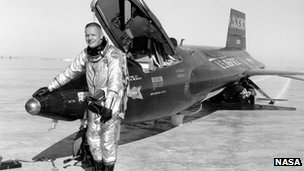 It’s not the first time hypersonic flight has been attempted. In 1960, tests took place on the X-15 – half plane, half missile – which carried one pilot and flew for 90 seconds before its rocket fuel burnt out. Its creators thought it would herald a new era of high-speed civil aviation but more than 50 years later, a hypersonic passenger plane has yet to be tested or even built. Now a team led by the European Space Agency, known as Lapcat, are working on an aircraft called the A2, which could take up where the X-15 left off. The technology involved in exceeding the speed of sound – Mach 1 – is extremely complex. “Mach number is the key,” says aerodynamics expert at Imperial College London, Paul Bruce. When you go below Mach 1, so flying slower than the speed of sound, and then go above Mach 1, the physics changes, he says. At hypersonic speeds, gases and metals behave very differently. Airliner engines that work at subsonic speeds – about Mach 0.85 or 913km per hour – won’t work. A plane that will fly five times faster than the speed of sound also needs an engine that can take off at subsonic, boost to supersonic and cruise at hypersonic speeds. Another problem is heat. When air moves over the plane’s chassis at high speed, friction causes its temperature to rise very quickly – to over 1,000C, so the outer shell of the plane has to be built to withstand very high temperatures. Engineers think they can overcome these problems, but it will take them decades to do so. The A2 is not expected to fly until 2040. The ghost of Concorde also haunts the project. Concorde flew for 27 years but after an air crash investigation grounded it in 2000, its carriers British Airways and Air France realised they could generate more revenue by selling first and business class tickets on subsonic planes. Tom Otley of Business Traveller magazine believes hypersonic flight could suffer the same fate because the demand for faster flights just isn’t there. 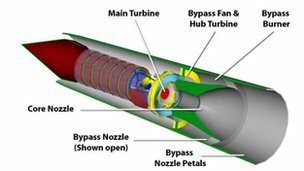 Reaction Engines in Oxford have designed a hybrid engine that will use a turbojet, like Concorde’s, to take-off and accelerate to supersonic speeds and then a rocket that will kick in, taking the aircraft to Mach 6 and above. Sabre, as the engine is called, will run on liquid hydrogen. It will burn the hydrogen by pulling air in from the atmosphere. Even business travellers are willing to take indirect flights in order to save money, a study found last year. Reaction Engines, part of the Lapcat consortium, says the cost of hypersonic flight would match that of current business class travel – but sceptics say this presupposes the discovery of a new, much cheaper, way to produce the A2’s liquid hydrogen fuel. At present, to create enough hydrogen to fly 10 hypersonic planes from the UK to Australia every day would use up to 20% of the UK’s national grid, according to one calculation. And in the European Union, airlines will from 2012 be obliged to pay for each unit of carbon they emit. Even if cheap liquid hydrogen does become available, aviation expert John Strickland questions whether high-speed flying will ever make sense for the airline industry – which traditionally subsidises economy seats with the profits made in business class. “If you took those people off those subsonic flights then you throw into question the economics of those flights,” he says. Testing how metals withstand high speed is extremely difficult. Subsonic planes are tested in wind tunnels, but to blow wind from a fan at hypersonic speed would require an immense amount of energy. Instead a team at Imperial College London have created a high-pressure gun that shoots air at a test material at high speeds. They have milliseconds to capture the effect using high-speed photography and temperature sensors. The Europe to Australia route, he says, has a predominantly friends and family profile. And when British Airways tried to run Concorde to the Far East via Bahrain, the service proved unprofitable and was cancelled. The A2 will not be able to fly to New York, the world’s busiest business-class route, as the distance is too short for it to reach the necessary altitude. So far, the Lapcat II project has received €10m (£8.33m) in funding from the European Commission and private investors. In 2013, that funding will run out and the project’s viability will be reviewed before it can continue. Project co-ordinator Johan Steelant is confident that the A2 concept will bear fruit. The European Commission wants to be a pioneer, showing the way forward for aviation in the second half of the century, Mr Steelant says. But John Strickland remains doubtful. 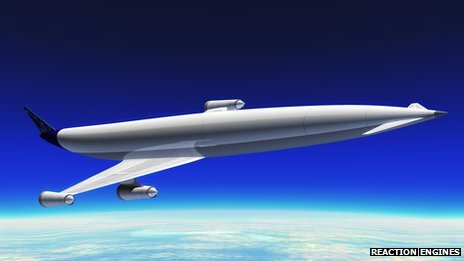 To find out more about hypersonic flight listen to Discovery from the BBC World Service. Posted: Sunday, January 1st, 2012. Filed in General News, Recent News.